Bruun Rasmussen will hold their next international auction no. 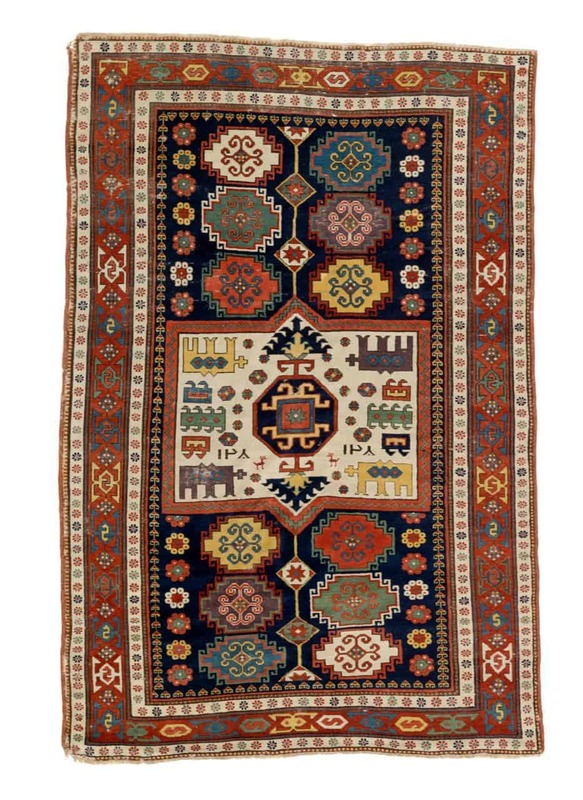 884 including carpet sale 27 February 2019 at their premises in Bredgade 33, Copenhagen. The preview will take place 21-25 February in Bredgade. 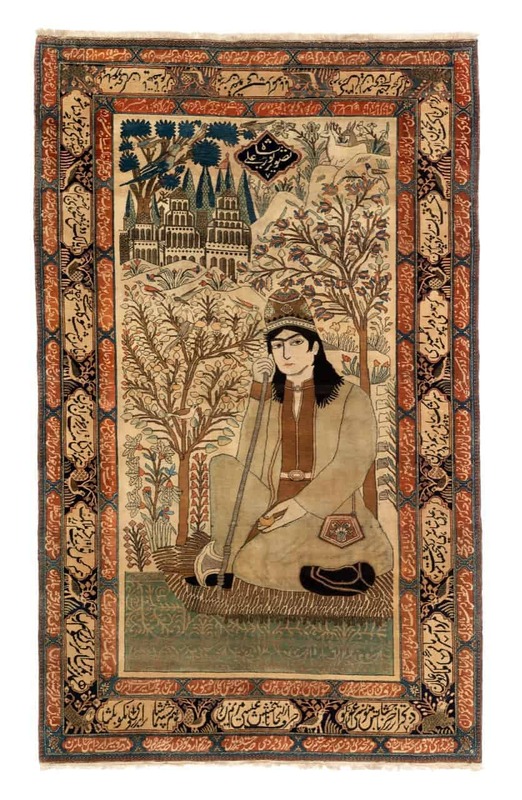 The upcoming sale includes around 30 selected rugs, carpets and tapestries. ‘Highlights of the sale are a stunning Serapi carpet, a fine Seirafian rug, a room size Heriz with a great main border and a rare 19th century Kazak rug.’ says Bruun Rasmussens carpet specialist Henrik Schleppegrell to Jozan Magazine. Lot 240. 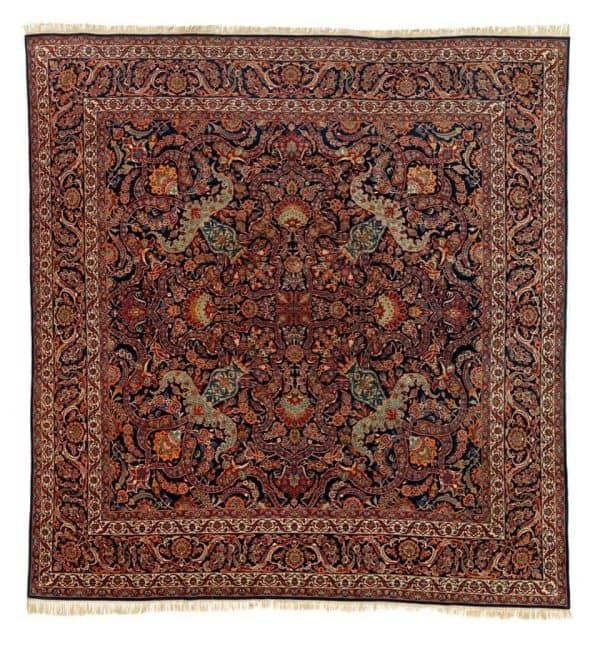 An antique Heriz carpet, North West Persia. C. 1900. 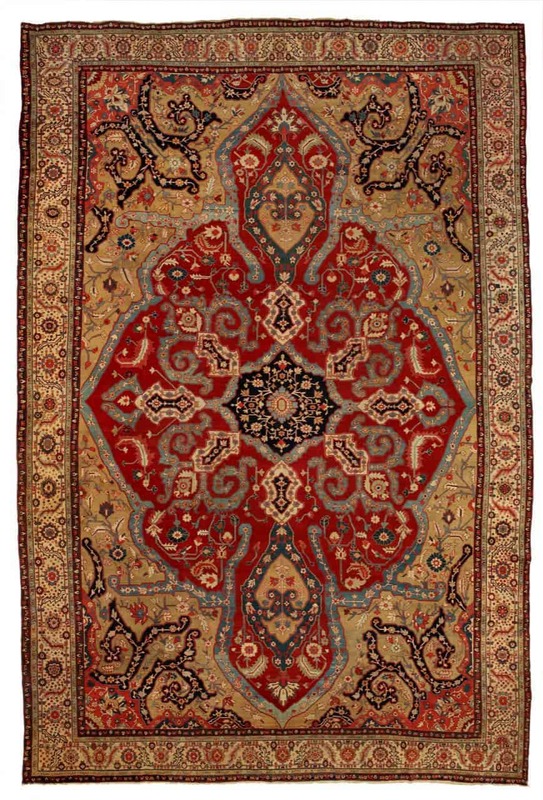 605 x 478 cm. Estimate 13.500 Euro. Lot 269. An antique Kasak rug, Southern Caucasus. Dated 1872. 248 x 162 cm. Estimate 1.600-2.000 Euro. Lot 252. 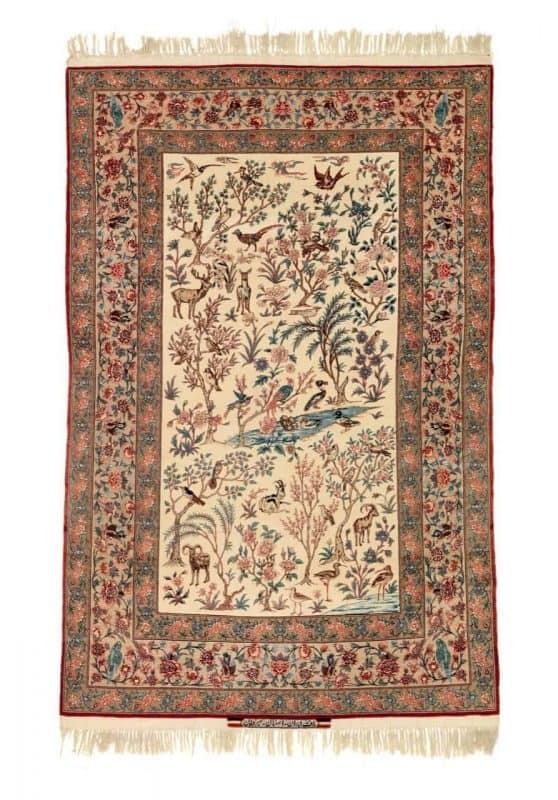 A signed Seirafian Isfahan rug, Persia. C. 1950. 228 x 145 cm. Est. 5.350 Euro. Lot 153. 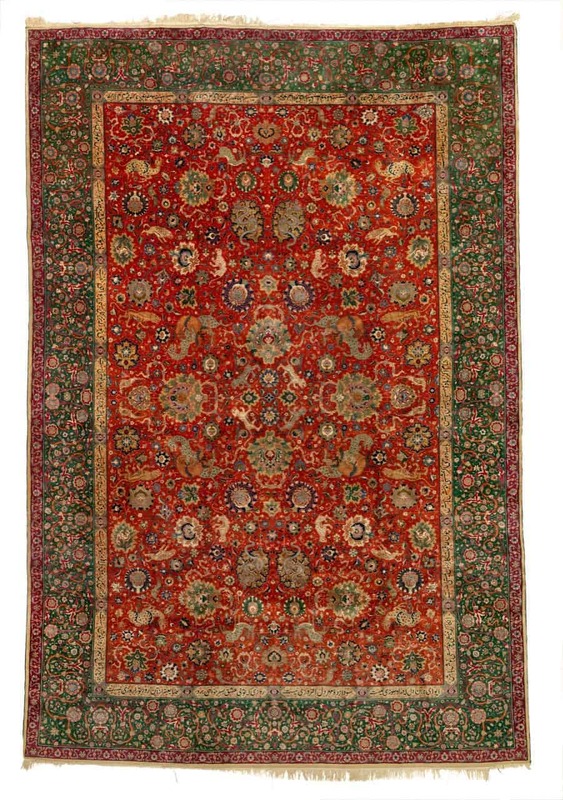 An antique Serapi carpet, North West Persia. 1880-1910. 557 x 368 cm. Estimate 33.500 Euro. 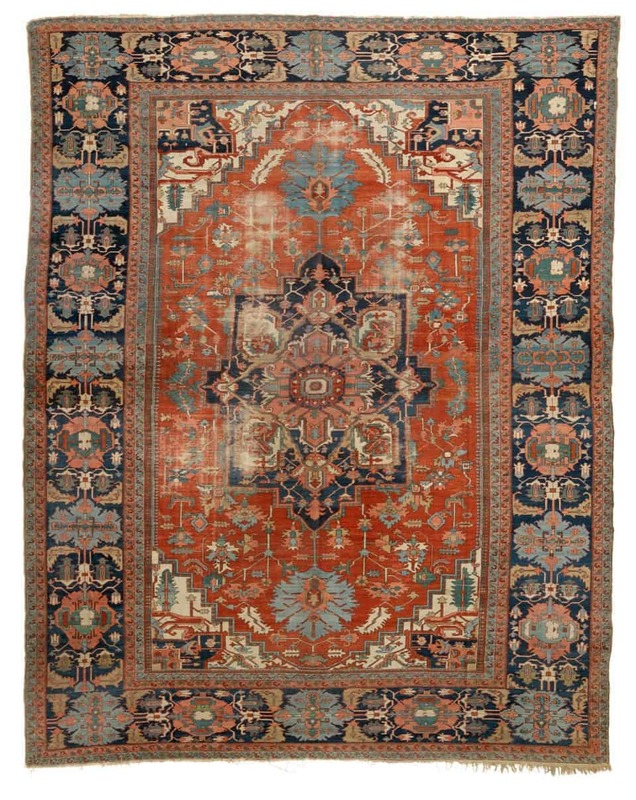 The catalogue for Antiques, Carpets & Varia is online at bruun-rasmussen.dk. Location and more information: Bruun Rasmussen Auctioneers, Bredgade 33, 1260 København K.